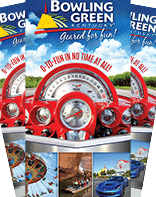 The best amusement and water park in southern Kentucky has been entertaining families since 1898! 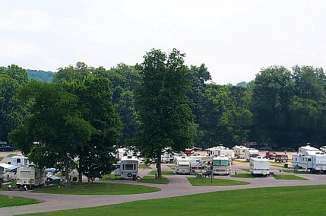 Make Beech Bend Park & Splash Lagoon part of your summer vacation in Bowling Green, KY! 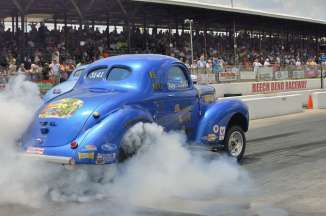 2019 Season begins May 4th! Nestled among acres of beech trees and the Barren River at the edge of Bowling Green's city limits lies the hottest spot in town each summer! Sure, there may be more thrilling rides and waterslides at other parks in the southeast region, but none are as affordable, clean, and friendly as the family-owned Beech Bend Amusement Park & Splash Lagoon. Ride the twisted Kentucky Rumbler wooden roller coaster, see amazing views before feeling weightless on Zero G, and twist around on the swinging pendulum of The Vortex. Test out the acrobatics of Air Race and then head over to the infamous Sea Dragon ride that once belonged at Michael Jackson's Neverland Ranch! As the heat rises, change into the suits and hit the award-winning Cyclone Saucers or take it easy on the Lazy River. With multiple areas each with varying sizes of slides and fun, even the littlest guests can enjoy Splash Lagoon. Time to rest and relax? Check out some live entertainment like the Dinky Gowen Magic Show, Wild Bill Hiccup's Wild West Show, or the Beech Bend Blitz game show. Refuel at one of several grills, cafes, snack shacks, or diners. Plan your trip to include the special Friday Night Lights experience where you'll be dazzled by the park in the dark with all the lights up bright! The cost is just $15 from 5 to 9:30 p.m. and every week ends with a spectacular fireworks show. There is always free parking, free sunscreen and free tubes, plus discount coupons can be found at local Houchens IGA stores or at any Visitor Information Center. Planning on taking in a few days of fun in Bowling Green? 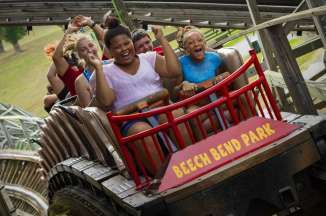 Add on a second consecutive day to your Beech Bend ticket for just $20 more! Visit the full listing below for more details, or check out the other attractions at Beech Bend!